There's a reason why gasoline is the cheapest it's been in six years. Bloomberg noted automobile owners in the United States paid an average of $2.20 a gallon for regular petrol throughout the first week of 2015. A large reason why this particular resource is more affordable now than it was in 2008 is because of where oil companies are purchasing it from. The past two years witnessed an uptick in domestic and Canadian fossil fuel extraction and processing, allowing companies to redirect procurement away from overseas countries. Essentially, there's more risk involved with transporting oil from countries as far away as Venezuela and Saudi Arabia, which were among the top five countries the U.S. imported petrol products from in 2013. Exactly 42 percent of total net imports (a figure developed by identifying total U.S. petrol exports) came from Canada in that same year, according to the U.S. Energy Information Administration. Thanks to robust rail assets, between the U.S. and Canada, it makes more fiscal sense for spend management officers to advise energy companies to source from domestic resources. Not to mention, the potential dangers associated with overseas shipping are causing such professionals to refrain from recommending their employers do otherwise. Bloomberg acknowledged that U.S. oil out put rose to 9.13 million barrels a day at the tail end of 2014 - the highest level since 1983. Over the past five years, U.S. production has grown 66 percent thanks to the horizontal drilling and hydraulic fracturing techniques that have been so popular among industry participants as of late. Forbes contributor Thomas Landstreet regarded an announcement from the U.S. Bureau of Energy Management stating the U.S. government will allow seismic analysis of the outer continental shelf of the south Atlantic coast. Given environmental concerns associated with the fossil fuel industry, this development marks a significant shift in the U.S. economic policy. This will also further reduce the nation's dependence on foreign oil - the U.S. is already projected to surpass Saudi Arabia's oil output rate as a result of fracking. 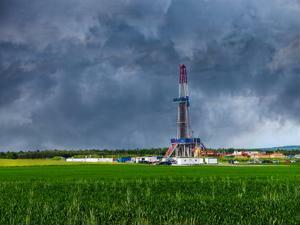 This burgeoning sector will no doubt have an impact on the U.S. alternative resource economy. Research and development in solar, wind and other such technologies may decrease as oil becomes cheaper. However, booth Bloomberg and Forbes noted that price reduction is expected to slow to a standstill over the next year or so.